And thus he leaves millions of hearts across the world beating faster each time he comes on screen! Meet the self proclaimed bad boy with a soft heart, a man who loves “Being Human” and also goes out of his way for people that matter to him! 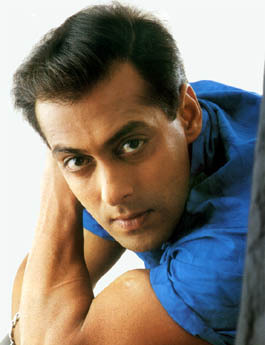 My first heart-throb and perhaps the only one ever since, Salman Khan celebrates his birthday today!!! Like wine, he only gets better with age!We on behalf of Rangmunch.TV wish him the best of health, wealth and happiness!!! He once said in an interview, “every girl starts behaving like your mom after two-three years of being in a relationship, and I already have a mom”! Kudos to the man who minces no words! Recently when we caught up with Harshad Chopra, who plays Mohan in Dharampatni, on Imagine TV he admitted his only dream is to meet Salman Khan in person once in his life time. Actress Gia Manek who plays Gopi in Saath Nibhaana Saathiya is no different. She was so thrilled she couldn’t contain her joy, as she saw her dream man right in front of her eyes recently. Humse Hai Liife Actor Aditi Chopra confesses, she wants to be Madhuri in Hum Aapke Hai koun since she wants to act opposite Salman, and she further adds, if that doesn’t work out, she wouldn’t mind being adopted by him as well! Here’s to a most eligible bachelor in Bollytown Salman Khan!!! Sukriti Kandpal, aka Piya of Pyar ki yeh Ek Kahani turns 24 today as she celebrates her birthday. She started out playing a bubbly tennis player in Jersey No.10 , and then went onto win the hearts of many with her portrayal as doctor Riddhima in the hit show Dill Mill Gayye on Star Plus. Post her exit from the show, she surprised her fans by taking up the role of Siddheshwari in Agle Janam Mohe Bitiya Hi Keejo where she played the role of a wife. Known as Sunshine by her fans for the bright smile she always carries Sukirti has always experimented with variety when it has come to her work and luck has always sided her. She is extremely hard-working and dedicated to her work and I think that is one of the reasons why she finds success coming her way, every time she takes up something. Navya and I, have been extremely fond of Sukirti right from our DMG days, and have always tried to keep in touch with her. Suku is down to earth and humble when it comes to people who matter to her. We have loved the fact that she never minces words and believes in speaking her heart out! She is very grounded and responsible as a person. Today she plays Pia on Pyar Ki Yeh ek Kahani, that has successfully run for over a year on StarOne. We did pass on our heartfelt wishes to Sukirti who instantly responded with a thank you and sweet smile! She never lets us down or ever keeps us waiting. We at Rangmunch.TV are thrilled to have been a part of this journey, where we have seen Sukriti grow and emerge as an actor! We wish has loads of love, luck and Happiness now and forever!! If you think, Navya is sweet, you must meet Soumya to know why it is so! Soumya inherently is a warm friendly person who makes friends with great ease. At least thats what we felt when we met her for the first time. Soumya totally loves chocolates and she can trade anything in the world for them! She is as connected to her family as the character in the show is. She has best friends like Appy and Ritz in her real life too. Today as Soumya celebrates her birthday, we would like to wish her the best of health, wealth, happiness, luck, love and work in abundance. We called Soumya to wish her on behalf of Rangmunch.TV, and that is when we got to know she has taken a couple of days off and is out to town. Like any other girl her age, who loves celebrating birthdays and hanging out with friends, Soumya is doing just that today. We hope you have a great day and rocking year ahead Soumya! Happy Birthday once again! 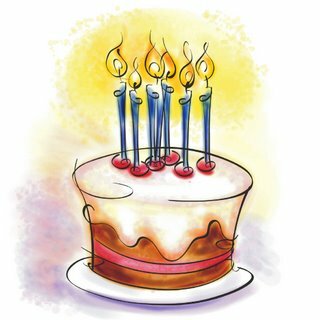 Come join in and wish Soumya a very Happy Birthday! It takes him less than 10 seconds to make any woman go weak in her knees! He has made a name and a mark for himself both in the TV and Movie industry. With an unconventional debut Aamir behind him and a more recent Soundtrack to follow up, after a hit TV series like Kahin Toh Hoga where he had women of all ages go gaga over him, Rajeev Khandelwal is all set to blaze up the screens with the second season of Sach Ka Saamna on StarOne. Rajeev celebrates his birthday today and we at Rangmunch take this opportunity to wish the star a very happy year ahead! Her demographic details were on the first page; as he calculated her age, he was shocked; she was so much younger than he was. What had he been thinking, marrying a child? Not wanting to think about the age difference between them, he moved on swiftly. The first item on the next page was a police report- Geet Handa had charged her cousin brother with attempted murder. There was a copy of the statement she had given the police; as he read it, he felt the pounding start behind his eyes. She had been trapped in a false marriage by a man called Dev Khurana, had fallen pregnant and had then been abused by her family when she refused to have an abortion. It had to be a coincidence. Dev would never have done that. He couldn’t have done that. He couldn’t. As he looked through the next few papers (interviews with some of Geet’s family members, his stepmother’s statement together with various other items of corroboration), realisation dawned; it had been his brother, Dev Khurana, who had used and abandoned Geet. He slammed the file shut, clenching his fists tightly as he resisted the urge to find Dev and rip his heart out. Moments passed as he controlled himself, then he opened the file again. From the summary timeline he learned that after she had her cousin brother arrested, Geet had come to Delhi and had, through her friend Pinky Manchanda, ended up working at Khurana Constructions. The next item in the timeline was a newspaper article about the launch party for one of KC’s projects- the photo showed him dancing with Geet. He did not look happy. Had that been the moment she had told him about Dev’s crime, made him believe the unbelievable? It didn’t seem likely, there was no corresponding article about Dev’s arrest. He flicked through the next few items until he reached a newspaper announcement of their engagement. How had they become engaged without Dev paying for his crimes? Had she withheld the information deliberately, had she been trying to take some form of revenge? He was almost convinced about that when he saw that she had gone AWOL on the night of their engagement, leaving him open to public humiliation. But why take her revenge on him, why not Dev? A further news article, dated a fortnight after one detailing an accident he had been involved in at the KC building, settled some of his tension- it listed the charges brought by Geet against Dev Khurana, citing him as the main witness. The charge sheet listed Geet as pregnant, so at least he knew she hadn’t hidden that from him. Sitting back for a moment, he tried to put all the pieces together. What on earth had he been thinking to get involved with a woman who had every reason to hate his family? Was it guilt that led him to marry her, a need to protect a child of his blood? But if that were the case, why on earth bother to hold such a well publicised engagement ceremony, why not just marry her quietly? He opened the file again, looking for some answers—all he had found so far were more questions. The next article was more surprising than all the preceding ones- a report of an impromptu news conference held by Geet Handa outside the KC building. Reading the report detailing the way she had attempted to ruin his reputation in public, he couldn’t help but wonder what spell she had cast over him to convince him to marry her. He turned page after page, reading articles detailing his sister-in-law’s attempts to kill Geet, others reporting the drama that had occurred on their wedding day and one tiny column reporting that he had been involved in a car-accident whilst returning from their honeymoon. The last item in the file was a medical report, giving details of a hospital admission for Geet Khurana. He paused, uncomfortable reading such intimate information about her, then started skimming the page. She had suffered a miscarriage, five months into her unwanted pregnancy. He hesitated for a moment before continuing to read; the details of the scars on her body, of the difficulties she had gone through, of the precautions they had taken to try and safeguard the pregnancy and finally of the advice they had been given that they could now begin normal marital relations (now that there was no pregnancy to protect), all those details coalesced in his mind into one fact- despite knowing everything about what had gone between them, he still had no definite idea why they had married. The most sensible conclusion he could draw was that he had married Geet for the baby’s sake- he would do the same again if there was a child bearing Khurana-blood involved. His brother had committed a crime against Geet; considering his habit of cleaning up his brother’s messes, it was certainly believable that he would marry her in reparation. If Geet had believed herself to be married to a Khurana when she had conceived the child, then he could have felt it necessary to ensure that she had been married to a Khurana when she gave birth to the child. He looked at the date on the medical report- she had suffered her miscarriage over 3 months ago. There was no information about what had happened over the last three months, about whether they had started to live a normal married life or whether they had been planning on separating now that the baby was gone. Taking a deep breath, he relaxed. Now that he had drawn his conclusions about what it was that had led to their marriage, he was more easily able to accept it. Obviously, it had been a marriage of convenience, one that he had entered to protect the family. There had clearly been some disagreements between them whilst they had come to a final settlement- perhaps the news conference had been an attempt on her part to force his hand or secure a better pre-nuptial contract- but it was obvious that in the end, she had understood that it was in her best interests to marry him. Whether she had married him to protect herself or her child that was something he wasn’t clear about yet, but with time these nuances would become clear. What was already clear was that the wedding photographs he had seen had clearly been posed shots taken to keep up appearances. The reason for Geet’s current behaviour was now clear to him; she was hoping to manipulate the situation to her own benefit. It was inconceivable that she had developed feelings for the brother of the man who had caused such turmoil in her life. She was obviously hoping that by making him feel guilty, he would be more likely to give her what she wanted- financial security and shelter. Clearly, she was hoping that he would be easier to manipulate if he thought she had “loved” him, whatever “love” meant. He had to admire the little touches- the packing, the soothing, the grief-filled eyes, the tears, the emotional speeches- they had almost convinced him. Well, no matter what her motivation was, they had made their deal; the terms had been agreed and the conditions set. He would just have to explain that emotional blackmail was not going to win her any more concessions. (And if part of his soul cried out at the unfairness of his conclusions, he ignored it). Being able to rationalise Geet’s behaviour made it easier for him to accept her; in some ways, having all the information that he now did actually made him admire her. He watched her discreetly over the next few days, keeping an eye on the work she was doing, watching the way she interacted with Dadi and Dev. Her work was good; for a woman who had little formal training, she managed the clients very well, seeming instinctively to know the best way to manage fractious clients or difficult portfolios. She mainly concentrated on presentations and client meetings, and he had nothing but good feedback from the clients she dealt with. Away from work, he took refuge in complete formality. They travelled to and from the office together, sitting as far away from each other as possible. They shared the same room, the same bed but might as well have been living on different continents. He stifled the urge to tell her that she didn’t have to keep pretending, that she had what she wanted; he found that he was interested to see how long she would be able to keep up the act. Watching her at home was strangely unsettling. Knowing what he now knew about Dev’s crime, he found her attitude towards him incomprehensible. He wondered if there was still something between them, if she and Dev between them were hoping to pull the wool over his eyes, but he couldn’t find even the slightest hint of impropriety. Geet treated Dev as her devar, albeit one who she wished lived somewhere else, whilst Dev treated Geet with the utmost respect. It was as if he was desperate for her approval and forgiveness, even though he knew he would never have it. Dadi treated Dev as if he had never sinned. He found it almost impossible to talk to Dev without wanting to rip his heart out, so he spent a lot of time walking out of rooms when Dev walked in and otherwise generally ignoring him. Dev seemed not to notice, but he had been on the receiving end of a few odd looks from their grandmother. Things came to a head when his grandmother finally cornered him in his home office. He walked her to her room, then went to his study to think. Geet had obviously accepted Dev’s presence in her life as a ploy to make Dadi indebted to her. By seeming to forgive Dev, she must know that both Dadi and Dev would support her and expect him to give her what she wanted. Sitting back, he half-smiled; it was clear that Geet was a worthy player, one able to control her emotions if it was in her interest. As long as he could make it clear to her that he wasn’t so easily manipulated, he could see this marriage giving them both what they wanted. Barun Sobti thanks his fans for the Birthday wishes!! Birthdays are always special, not just because you get loads of gifts and surprises they also become memorable when people who love you go out of their way to show you how important you are to them. Barun Sobti aka Arnav is no different. Barun who celebrates his birthday today i.e 21st of August, was extremely elated when we wished him Happy Birthday on behalf of all his fans. Though he is away in Delhi with his family he hasnt forgotten to thank his fans for all the love and support! Rangmunch: Hi Barun!! Wish you a very very happy birthday on behalf of Rangmunch and all your fans! Barun: Thank You very much ! Rangmunch: So how are you celebrating your birthday today? Barun: Its been a good day, infact I am celebrating my birthday with my family right now. Rangmunch: Some of your fans have compiled a video for you. Barun: Oh yeah, I have gotten the video!Thank You very much, thats really sweet of them. Rangmunch: Have you had a chance to see it yet? Barun: I haven’t so far, but as soon as i get free i will surely watch it. Barun: really? what do i say. This is really overwhelming. Thank you so much for all the love, and affection. Its really sweet of you guys. Barun:Hey not at all… Keep loving Arnav, and keep watching the show the same way. Means a lot to me. A Very Happy Birthday to Barun!! Barun Sobti, is quite a popular name in the television industry. This Model turned Actor, started his acting career with a show named Shraddha, which was aired on Star Plus. However he became extremely popular as the happy go lucky Shravan in Baat Hamari Pakki Hai & currently is seen playing the character of hardhearted business tycoon, Arnav Singh Raizada in the show Iss Pyaar Ko Kya Naam Doon. This handsome Punjabi Munda has managed to captivate the hearts of thousands of girls with his charming personality & good looks. Barun is not only a good actor, but he is also a good human being. Recently Rangmunch.TV had done an interview with him on the Eve of Rakshabandhan & he was extremely cordial in his interaction with us. During our conversation, we realized that like Arnav in reel life, Barun is extremely loving & protective about his sister in real life. However, unlike Arnav, Barun completely believes in the idea of love & is married to the love of his life. So on the eve of his Birthday, Rangmunch.TV would like to request all his fans to pen down their birthday messages for their favorite actor & wish him on his special day. We are not promising, but will definitely try to send your messages to Barun. We have also put up a VM that his fans Aisha, Shruti & Savanna have made especially for his birthday. We hope Barun has a wonderful Birthday & is blessed with Love, Happiness, Success & Good Health always!! !